Flexible. On Time. On Budget. Our 53 seat buses are clean, well maintained and very popular with school groups for local, city and metropolitan charters. 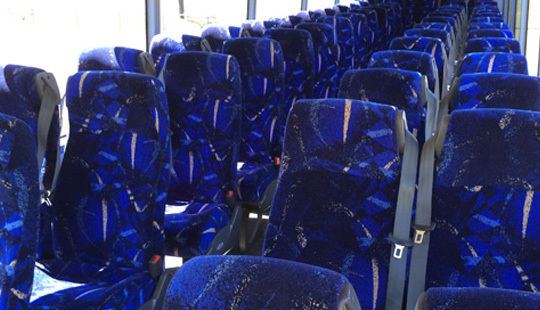 For the next group size up, our 57 seat charter buses all come with luggage bins suitable for school camps. Most have cloth seats and PA systems. Don’t quite need a coach, but you want something special? Why not try a Premium Bus? 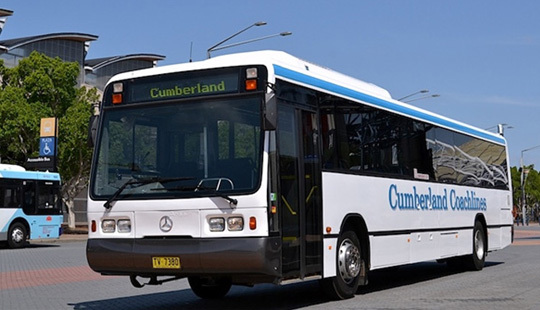 A Cumberland Premium Bus comes with wool blend seat covers, climate control air conditioning, PA system and DVD player. 61 seats! That’s 2 classes on 1 bus; Isn’t it? 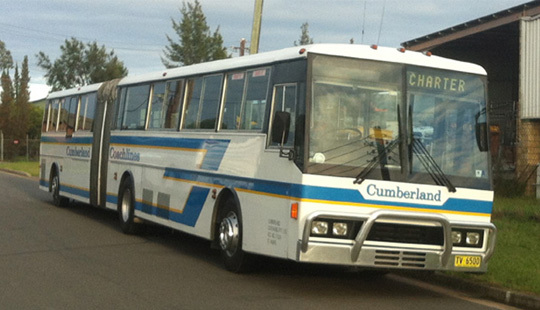 Available features include: cloth seats, PA system, overhead luggage racks, large under bus storage for camps/bands/sporting equipment. The potential of 61 in 1 movement or 122 on a shuttle. That’s before we discuss the ‘3 to a seat’ option for primary schools. To do mass transport, we use massive buses. 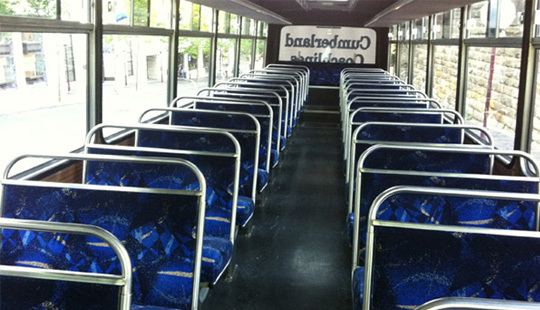 A bendy bus will carry 3 classes where you want to go. When you need a bus and a half but don’t want to pay for two buses, this is the obvious answer: Get a bus and a half! 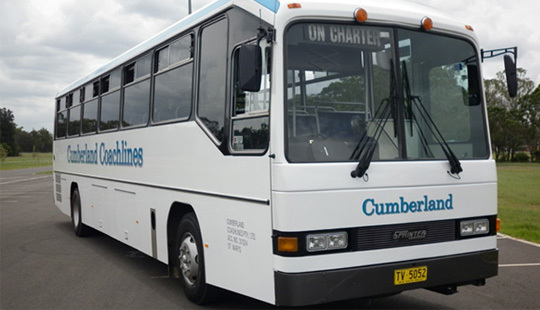 For many years Cumberland Coachlines has been the company we have selected to transport our students offsite for excursions and co-curricular and other activities. 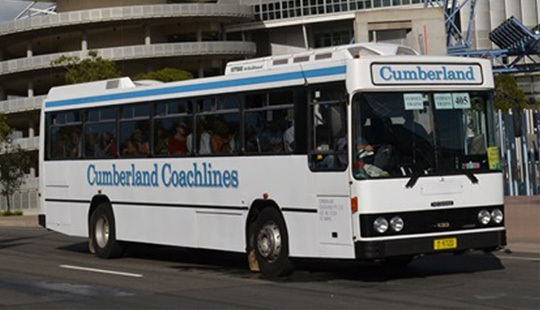 I have always been impressed by the level of service provided by Cumberland Coachlines and I recommend them, without hesitation, to any organisation seeking the services of such a first-rate coach company." For comments or questions, please feel free to contact us on the below form. Have a question? Please feel free to contact us on the below form.